Customer service is high on the priorities at Beachflags.com. On this page you will find frequently asked questions with concise answers. If your question is not listed, please contact us via the designated input field. Fill out all fields as complete as possible and state your question clearly. We will contact you as soon as possible. You can reach us on the phone as well. 1. Choose the desired product. 2. Compose the product and possibly add a remark. 3. Upload your file(s). You can download your work drawing under the ordering form. 4. Select any accessories you wish. 5. Request a quote or confirm your order. 6. Check your shopping cart and select your sending method. 7. Complete your order by entering your details and paying. 1.2 How do files need to be supplied? 1.3 When will my beach flag be delivered? After your files have been approved we continue onto production as soon as possible. Depending on the ordered amount we deliver your beach flags in 7 to 15 business days. In case you want to have access to your flags sooner we request you to contact us. All accessories and flagpoles are in stock at Beachflags.com. We will send the accessories with your order. In case you want to receive the accessories sooner, extra delivery costs will be charged. 1.4 Until when can I cancel my order? After you have placed your order you can cancel it until the moment of production. After approval of the files we will start producing your beach flags. Because beach flags are customer-specifically produced, returning the flag itself is not possible. That is why we ask you to always check your files thoroughly. 1.5 How can I request a quote? Are you planning on placing a large order (more than 20 pieces)? Then you are eligible for an attractive discount in many cases. Go through the ordering process and click ‘Quote’ instead of placing your order. This button can be found in the shopping cart. You can simply place the desired products your shopping cart to subsequently request a quote on your items. Don’t forget to also provide your contact details and address (for calculating transport costs) while making your request. You can request a quote even for smaller amounts. 2.1 How can I create an account? You can create an account by clicking ‘My account’ at the top right. After that, you can login with your Facebook account or create an account on the website by clicking ‘Create account’. By creating an account in this shop you can go through the payment process quicker, save multiple addresses, view and follow orders, and more. You can enter your details and click ‘register’. 2.2 For what do I need to create an account? 2.3 I forgot my password. If you forgot your password, you can easily request a new one by clicking ‘My account’ and then ‘Forgot password?’. Here you can request a new password by filling in your e-mail address and clicking send. You will automatically receive a link to recover your password. Sometimes clients order products as ‘guest’. As guest you do not have an account and so no access to previously ordered products. For that reason, requesting a password will unfortunately not work. Naturally we can solve this by approving your account. Contact beachflags.com in case you have problems logging in. 3.1 In which ways can I pay? At beachflags.com, the most trustworthy and familiar payment methods are used. During the payment you can choose from a range of several online payment methods. Beachflags.com utilizes MultiSafepay as payment provider. MultiSafepay has been the ideal partner in online payment for web shops for over 12 years, and is the fastest growing Payment Service Provider in the Netherlands. Beachflags.com has an extensive range of both Dutch and foreign online payment methods like iDEAL, bank transfer, INCASSO, PayPal, Gift cards, Visa, MasterCard, Maestro, the Belgian Mister Cash, the German Giropay and SofortBanking. We continuously make sure that our prices are competitive in comparison with our competitors. In case you get offered a lower prices somewhere else, contact us. We offer a lowest-price guarantee for up to 20 units! 4.1 How do files need to be supplied? 4.2 How does the free design for beachflags.com work? Beachflags.com will make a design for you free of charge. You are required to describe what you want as accurately as possible. You should also supply a clear logo (preferably an eps or .ai file / vector file). The free design naturally has limitations, but we try to help you as well as possible! You can upload your logo and sketch with the order or send it by e-mail. We will get in contact with you as soon as possible. 4.3 I have several designs, how do I supply these? In case you ordered multiple beach flags, it is possible to supply different layouts. For example, if you ordered two beach flags and you would like to receive two different designs. You can upload multiple files during the placement of your order or after, in your account. At the input field ‘remarks’ you can notify us that your upload regards multiple designs. You can also mention this in the filename. There are no extra costs connected to multiple designs! 4.4 What are the possibilities regarding double-sided printing? A beach flag with double-sided print has many benefits. One of these benefits is that both sides may be different. This way, you can always communicate information to your customers correctly! An important point is the use of colors. For example, it’s possible to make one side blue and the other white. However, all edges of our beach flags are hemmed and double-stitched. In that case you will have a white border (+/- 1cm) on the blue side, or a blue border on the white side. Furthermore, we can only use one color stitching (blue or white). In case you have a preference for the finish on these beach flags, you can notify us with your order or through e-mail. In case you do not notify us, the finish will be determined during production. 5.1 How will my order be sent? Beachflags.com delivers orders globally thanks to trustworthy transports like UPS, FedEx, DHL and PostNL. Depending on the weight and country the transport costs are calculated and charged. Sending the packages with track & trace so they can be followed is standard. Picking up a package, or having someone else pick up a package can be arranged after consulting. 5.2 What are the costs of a sending? For sending we utilize standard transport prices. 6.1 Can I wash the beach flags? Our beach flags can be washed in the washing machine. Use low-duty detergent and set your washing machine to 30°C. Do not put your beach flags in the dryer and do not iron them. Your beach flag will dry on its own in the wind, when you hang it outside. Furthermore, the beach flags will lose any wrinkles or creases. 6.2 Up to what wind force can the beach flags be used? Our beach flags are sturdy in quality and also suitable for strong winds. We advise to use the beach flags up to a maximum of 5 Beaufort. Depending on the size the beach flags can withstand higher wind speeds. In case you are not using the products, it would be wise to store them properly. Disassemble the beach flags and clean the separate parts. In case necessary, wash the beach flags (30°C, low-duty detergent). Store the products in the intended storage bag. In case you do not own a storage bag, you can order one here. 7.1 Is there a guarantee on my flag? In case there are problems with the beach flags or their corresponding hardware (poles and feet) we will provide a fitting solution. If your customer is satisfied, we are satisfied. We advise you to check if everything is in working order as soon as your product is delivered. To exercise the right to cancel, you must inform us (Proflags B.V., Tilbury 8, 3897AC Zeewolde (The Netherlands), info@proflags.com Telefon: +31 (0) 85 401 4648 ) of your decision to cancel this contract by a clear statement (e.g. a letter sent by post, fax or e-mail). You may use the attached model cancellation form, but it is not obligatory. For products we utilize a viewing period of 14 days. If you are not satisfied with your product, you are free to return it. The costs of returning the product are to be paid by you. The article needs to be complete and should state your name, address and phone number. The order number and your bank account number should also be stated. 7.2 Is there a guarantee on flagpoles and accessories? 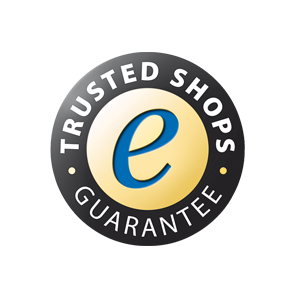 Depending on the use and handling of the materials we provide a standard 1-year guarantee on the hardware. This guarantee regards errors deriving from the production of the accessories. Unfortunately, we cannot reimburse water damage, storm damage or damages done by a third party. Naturally, we will help you with finding a fitting solution. 8.1 What if I’m not satisfied with my product? If you are not satisfied with your product, you can contact us and together we will find a fitting solution.